Brent is a happy and outgoing young man. He was concerned with the fact that he could not express his personality through a smile. He had a big midline diastema (gap) and worn, chipped edges. 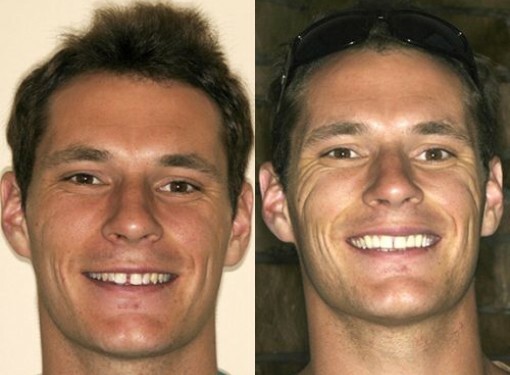 He was extremely pleased with his new smile that was achieved by porcelain veneers and professional whitening.